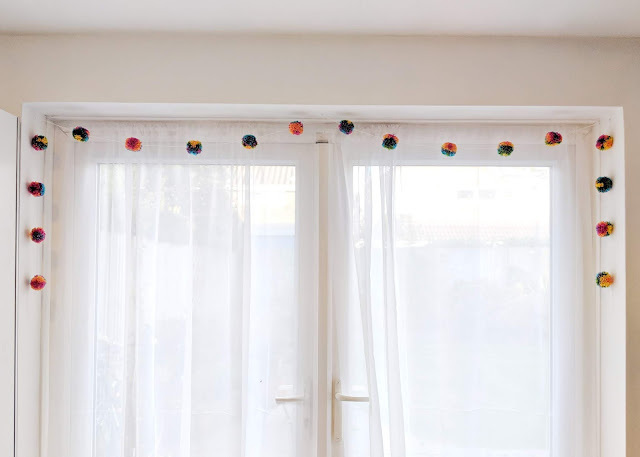 I made this rainbow pom pom garland in just over two hours. 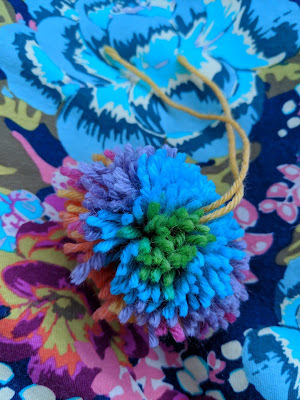 One ball of yarn will produce 18 pom poms. 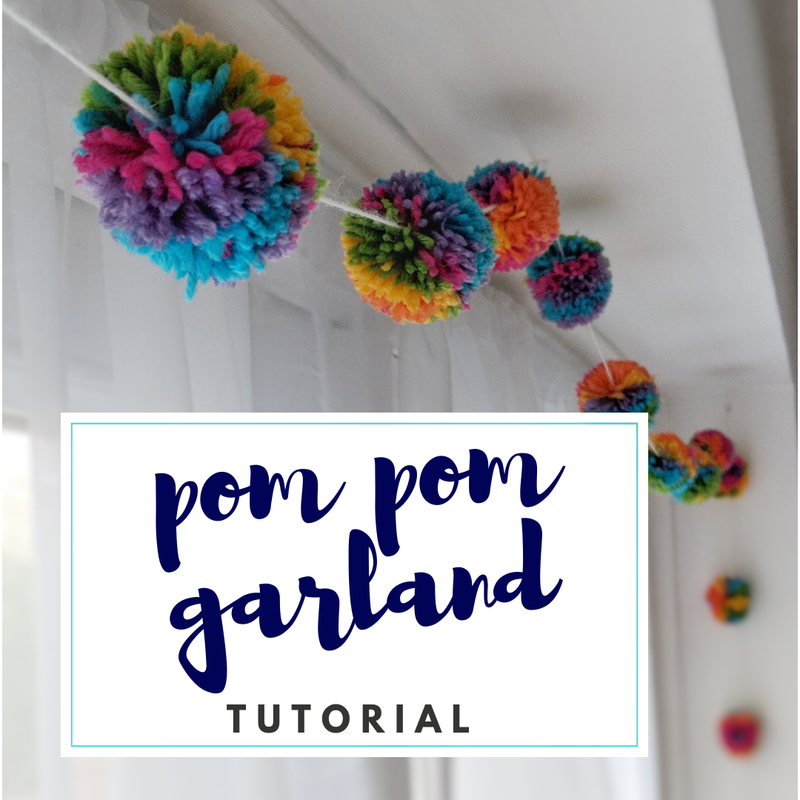 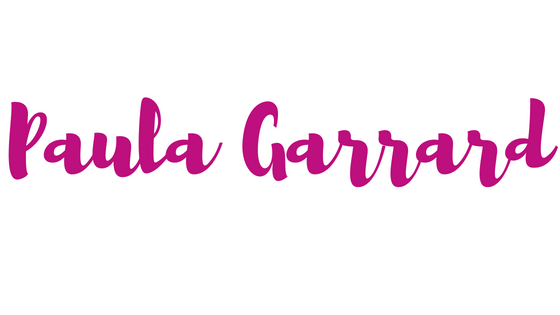 Create pom poms! 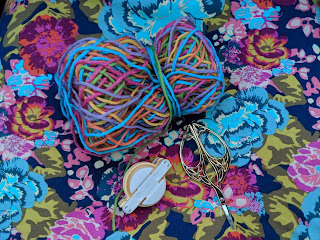 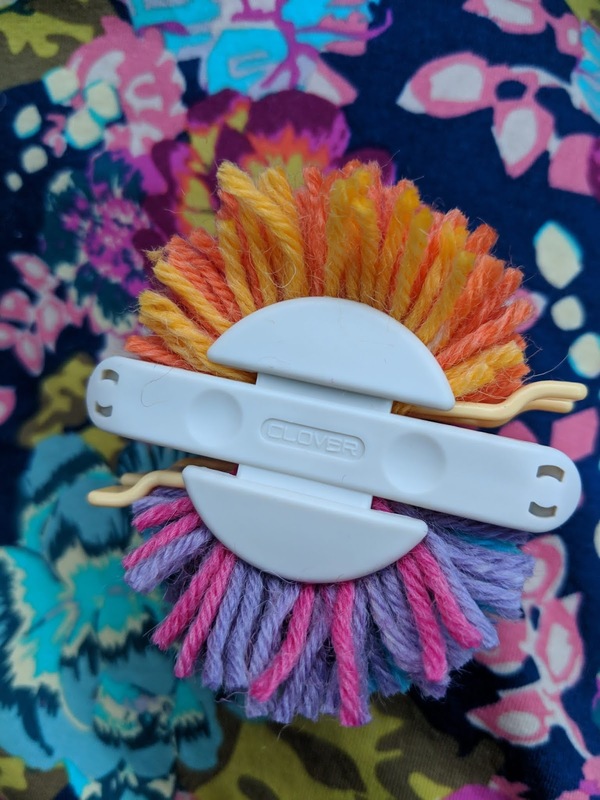 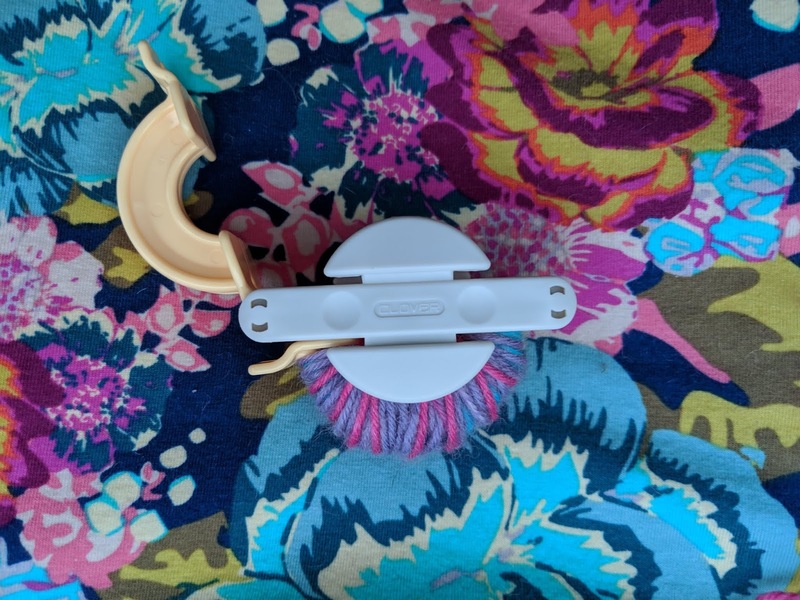 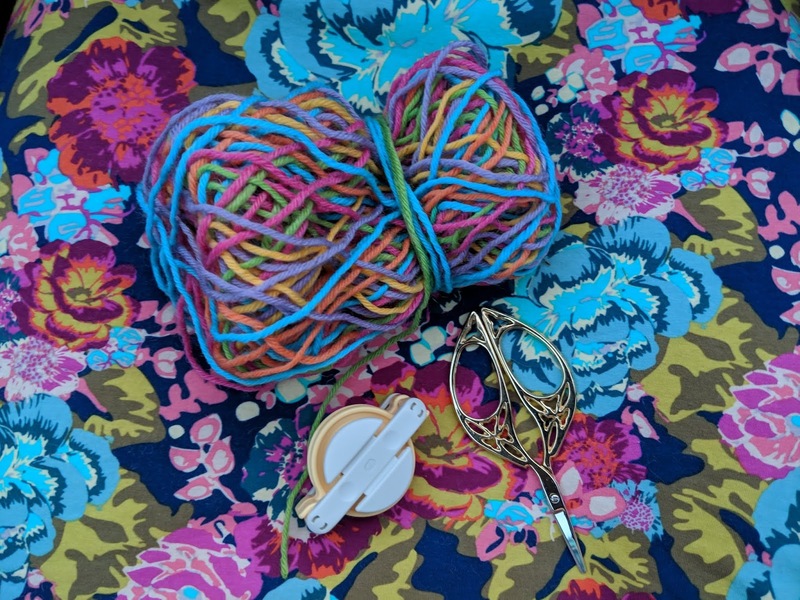 Wrap each half of the pom pom maker with yarn until full. 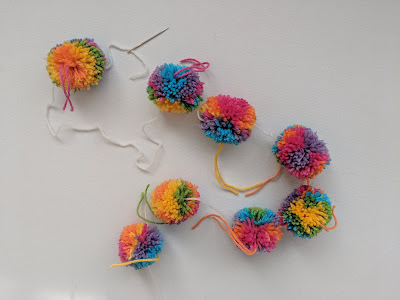 Use scissors to trim the pom poms into spherical shape - mine always come out more oval than circle at the beginning! 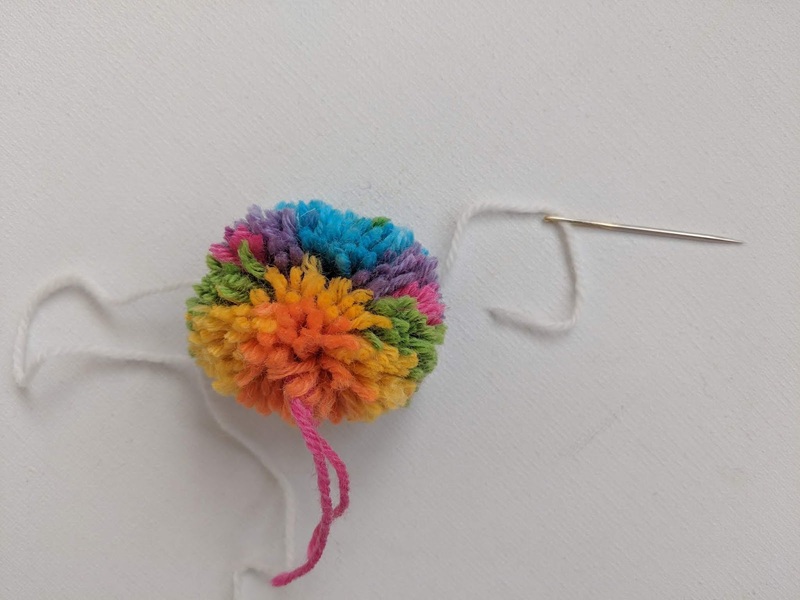 Thread the string through the needle and push through each pom pom. 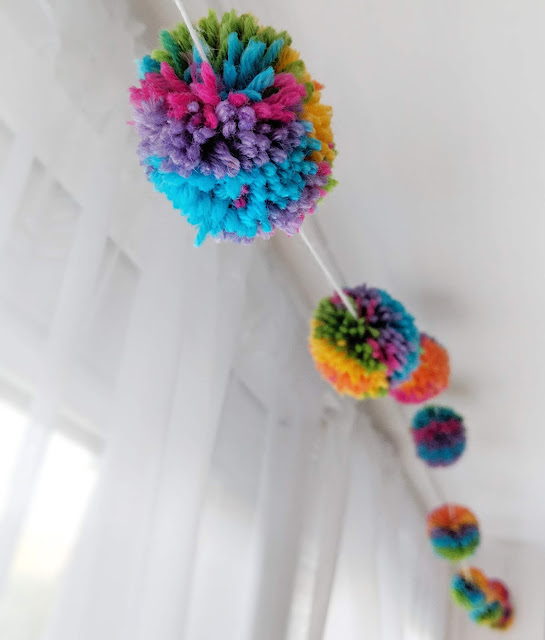 Spread the pom poms on the string, hang up and admire!